Many of the NBA's top draft picks from 2018 made their debuts and a few of the would-be future stars lived up to the lofty expectations right away on Wednesday. The biggest spotlight shone on the matchup in Phoenix, where number one pick Deandre Ayton debuted for the Suns against the Dallas Mavericks and number three overall selection Luka Doncic. As fate would have it, Ayton scored his first NBA points on Doncic, drawing the foul. Ayton finished with 18 points, 10 rebounds and six assists in the Suns' 121-100 victory. 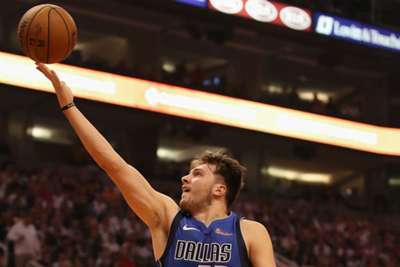 Doncic did not shoot the ball well (five of 16 from the field), but scored 10, had eight rebounds and four assists and showed several flashes of why the Mavericks are so excited about him, including an effortless behind-the-back assist. In Orlando, Mo Bamba, the number six overall pick, came off the bench for 13 points and seven boards in the Magic's win against the Miami Heat. He blocked two shots, but altered several others. The Magic wanted a rim protector, and the center showed his stuff in his debut. Anthony Davis scored 32 points and filled the stat sheet everywhere else (16 rebounds, eight assists and three blocks) in the New Orleans Pelicans' 131-112 win over the Houston Rockets. Guard Kemba Walker scored 41, hitting seven of 13 from long range, in the Charlotte Hornets' 113-112 loss to the Milwaukee Bucks. Detroit Pistons center Andre Drummond had 24 points and added 20 rebounds in a 103-100 win against the Brooklyn Nets. The Nets lost by only three to the Pistons, which makes their terrible three-point shooting line (five of 27) even more painful. 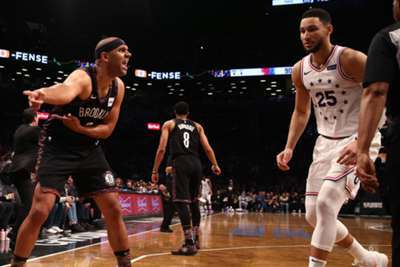 Allonzo Trier, who went undrafted in the 2018 NBA Draft, scored 15 points in his debut and looked like a steal for the New York Knicks with several outstanding plays, including a thunderous drive and dunk. The LeBron James era begins for the Lakers. Everyone knows what James brings, but how will the revamped Lakers lineup work with him? There will not be an answer after one game, but plenty of NBA fans will be watching as King James begins the next phase of his career.